To mark the 500th year of his death, Hieronymus Bosch: Touched by the Devil follows a team of Dutch Bosch scholars and experts, headed by art historian Matthijs Ilsink, as they try to shore up existing paintings by the Dutch master, known for his elaborate, detailed depiction of literal, biblical heaven and hell, in an exhibition at Noorsbrabants Museum in his hometown of Hertogenbosch, Netherlands. There are only 25 paintings and 20 or so drawings known to be painted by Bosch or at least by his workshop, scattered throughout Europe. The film works as an enthralling art detective story and a fascinating history lesson. There is not one boring moment in its 89 minute running time. With his surrealistic, imaginative paintings, Bosch is now considered by many as the father of the renaissance, with the reasoning that his paintings, filled with grotesque creatures and unspeakable torture and human suffering, mark the beginning of expressionism and the humanist movement. You find his The Garden of Earthly Delights appropriated in pop culture, from The Simpsons to a pair of Doc Martin boots. There might not have been Dali or Geiger if it weren't for Bosch. Since I've seen his paintings only in art books, it's a real delight to see his work up-close and personal, blown up on the big screen. As Matthijs' team compares and investigates the authenticity of each piece -- Bosch never dated his works -- with cutting edge technology, be it The Haywain Triptych or Death and the Miser, we get to have a closely-examined guided tour of a wondrous, hidden world we never will get to see, not even by looking at a real Bosch painting (since his actual paintings are on rather small wooden panels0, in a crowded museum behind the ropes. We get to see the underdrawings of the master, as well as his intentions and last minute changes of each piece, by scanning each one through the computer and x-rayed images. It is an artist's brush strokes and techniques embedded in these underdrawings that determines their authenticity. 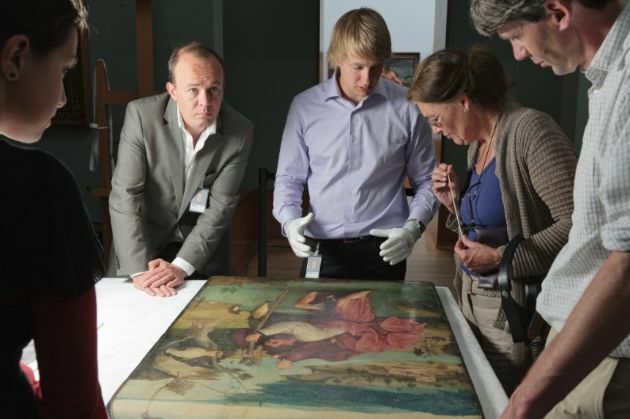 We get to see the intense politics behind the scenes of the high echelons of museum and academia worlds, as Mattijs and his team beg and plead to borrow Bosch paintings from some of Europe's biggest museums. It's the Museo del Prado of Madrid, a powerhouse among great European museums, that owns most of the most famous Bosch paintings since the reign of Philip II. The paintings have not left Spain for the past 400 years. A frenzy of political maneuvering here plays out like an espionage thriller, complete with villains and colorful characters. Their detective work takes the team to Madrid, Venice, New York, Berlin, Rotterdam, Antwerp and even Kansas. At the climax of the film, we are presented with the discovery of a “new” Bosch in a small Kansas City museum, which prompts Julian Zugazagoitia, director of the Nelson-Atkins Museum of Art, to exclaim, "You love all your children. But it’s like one of your children just won the Nobel Prize”. Long-time producer of the great Dutch documentarian Johan van the Keuken, Pieter van Huystee makes his great directing debut here. Hieronymus Bosch: Touched by the Devil is one of the most engrossing documentaries about art and an artist in recent years, along with Das große Museum (2014), about The Kunsterhistorisches Museum in Vienna. 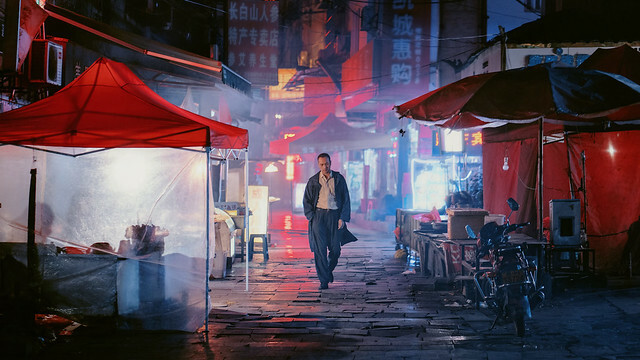 While never losing sight of the human element, the film is filled to the brim with great works of art full of intrigue and mystery. A great watch. Hieronymus Bosch: Touched by the Devil has an exclusive two-week engagement at Film Forum in New York from July 27 through August 9.